Watch these adorable baby chicks hatch right from the shell! Hatching baby chicks is fun, interesting, and a great learning tool for children plus get the best deals on incubators so you can hatch your own baby chicks. Watch this video to see baby chicks hatching. If you are hatching baby chicks for the first time whether it be in an incubator or under a broody hen you should not disturb the chicks while hatching. Do not open the incubator door and if the mother is hatching the chick do not disturb them while it is happening. Do not help baby chicks out of the shell as there is a membrane and umbilical type cord attached to the chick. If you pull the shell off in the wrong place the chick will bleed to death. Let nature take it's course and enjoy the awesome feeling of watching a baby chick work it's way out of the shell. It may take some time but it is an amazing learning experience you will never forget no matter whether you are an adult, teen, or child. Scroll down to see more about baby chicks and to buy incubators and biddy farms. 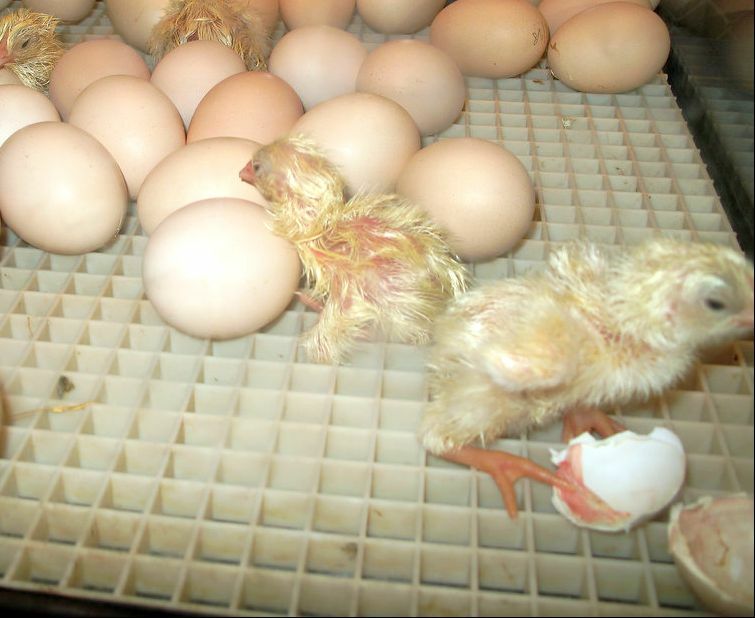 LED display temperature/humidity/hatching days/egg turning time. Large observation windows. (Take off the layer of protective films on the observation windows before using if there are any). When a hen goes broody it means she is setting on her eggs in an effort to hatch them into baby chicks. See detailed information about what broody means.